I recently wrote a post for my Facebook page about funny wedding traditions. One of them mentioned that if the groom doesn’t show up to the wedding, it is the best man’s duty to step in and marry the bride! Imagine THOSE wedding photos! 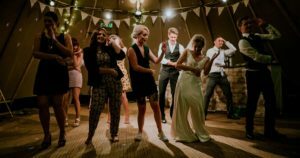 I was really surprised by the engagement this post had and so I thought I would look into this a bit more and give you a list of ten unusual wedding traditions that might surprise you. I’d love to know if some of this was happening at any North East weddings! So, without further ado, here’s the list. I dare any of you to include it in your wedding! Wedding Tradition #1 – Brides and Grooms not seeing each other before the ceremony. At one time, marriage was more of a business transaction than an act of love, with families looking to gain land or money by the wedding happening. The Bride and Groom to-be, were kept apart before the ceremony through fear that one of them may pull out of the marriage once they saw their husband or wife to be! 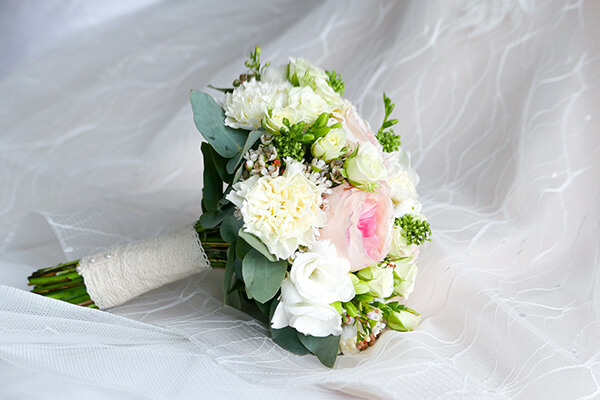 Even though it is still considered unlucky to see your other half the morning of the wedding, I hope you don’t feel the urge to run away when you finally see them! Wedding Tradition #2 – Bridesmaids and Evil Spirits! If you’ve been asked to be a bridesmaid for one of your besties, it may not be all it’s cracked up to be! It wasn’t always planning hen parties and keeping an eye on the hair. Back in the day the duties of the bridesmaids was to act as a distraction to any evil spirits wishing to cause harm to the bride. Bridesmaids would have all been dressed in the same outfit as their bride to confuse these evil spirits! 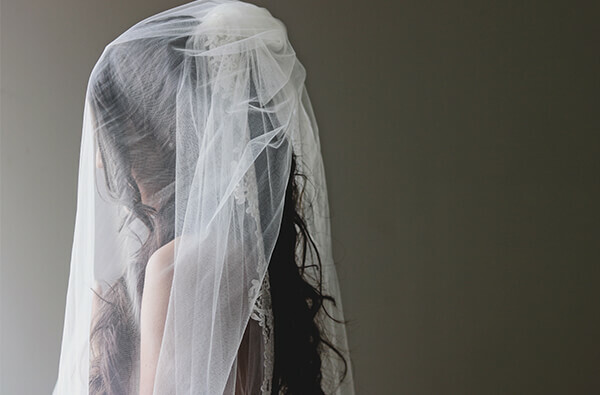 Wedding Tradition #3 – Veiled for protection! I’m not sure what these evil spirits were hoping to gain by messing up a wedding but it wasn’t just the bridesmaids job to help stave off the evil wrongdoers, the bride’s veil was once considered protection from the evil spirits. Something borrowed, something blue. This is still quite a common saying and a thing that is followed, but why? The ‘something old’ is to represent the past, the ‘something new’, your future life with your new husband or wife. The borrowed should be from someone who is happily married, this will transfer their good luck onto your marriage and the blue represents love and fidelity to your new spouse. This is one of my favourite wedding tradition! As the bride comes down the aisle holding those beautiful flowers doesn’t it look nice? Don’t they smell lovely? Well, just as well! 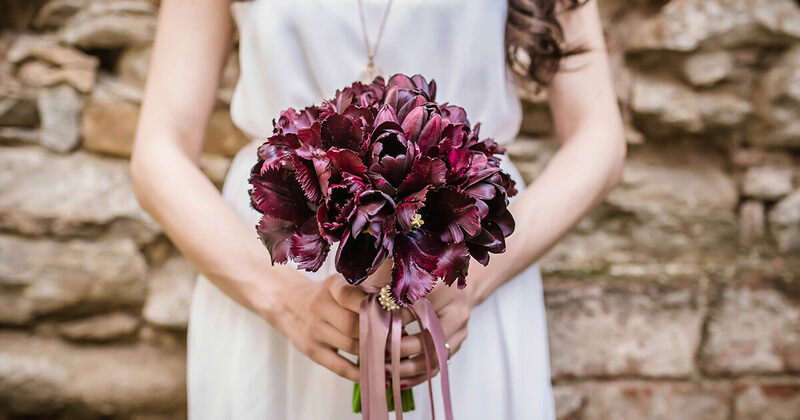 The original reason for a bride to hold a bouquet of flowers was actually to hide her own smell! This comes from a time that there were no nice smelling perfumes available to the common person and baths were less frequent than perhaps we would have liked! Yup, they’re back. It’s them spirits again! Surely everyone knows that the soles of the brides feet were at the most risk of evil, and so the bride would be carried in to her new home to avoid any of those pesky spirits being brought in with her! People certainly didn’t like to make things easy for themselves! Wedding Tradition #7 – Maybe being a best man isn’t so good! 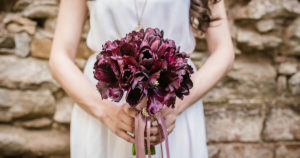 As well has having to take over the duties of marrying the bride if the groom doesn’t turn up, there’s a few other less than glamorous things that are expected of a best man. In the 16th century, the best man wasn’t chosen by the groom because he was his best mate, but rather because he was the best swordsman in the community. His duty would be to guard the couples room on their wedding night while their marriage is consummated and also to make sure that the bride doesn’t do a runner! Thankfully being a best man nowadays is a far more enjoyable experience! Wedding Tradition #8 – The engagement. It’s pretty much expected that when the question is popped, the bride to be is presented with a beautiful engagement ring. This is usually a diamond centre stone and set in a white gold band. Apparently the average spend on a diamond ring is around £4000! However, before the 1900’s people didn’t splash the cash so much and a diamond ring would have been considered very extravagant. In fact, ANY ring would have been viewed as extravagant, even without the diamond! The wedding tradition of giving a diamond ring came from a rather enterprising diamond company called De Beers. After the influx of diamonds being available after diamond mines being founded in South Africa, the price was driven down. So around 1939, a diamond thing was a must have. Wedding Tradition #9 – Wedding cake. 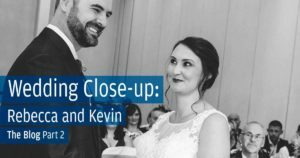 It was always expected that the newly wed couple would have their first baby by the time their first anniversary arrived, and of course, both the wedding and the christening were much more closely linked, and of course both celebrations required cake! 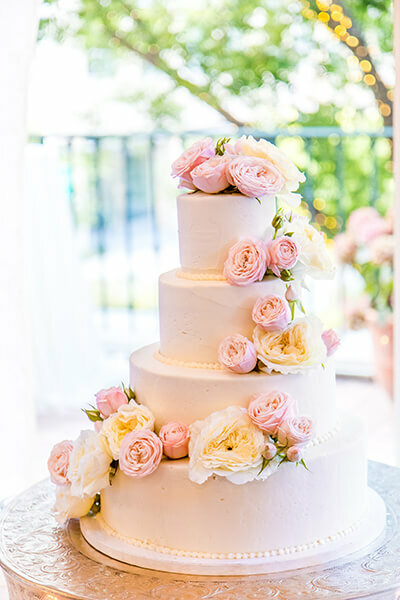 In the 1800’s multiple tiers of cake became popular and couples were saving the top tier to be used as their christening cake. As a hang-over from this, some couples still traditionally freeze the top layer of their wedding cake. Wedding Tradition #10 – Incy Wincy Spider. Although it might be most brides nightmare to find an 8 legged creepy crawly scuttling over her dress, it was once considered good luck. (Who comes up with this stuff!?). So much so, that a spider would often be sewn into the hem of the dress! I dare you!!! Strange right!? Go and check out my Facebook page where I’ll be posting more unusual and strange traditions I’m sure you never knew!